Confirmation is the completion of initiation of the Catholic Church. Baptism allows us to share in the divine nature of life, Confirmation strengthens that nature and Eucharist sustains us with the food of eternal life. 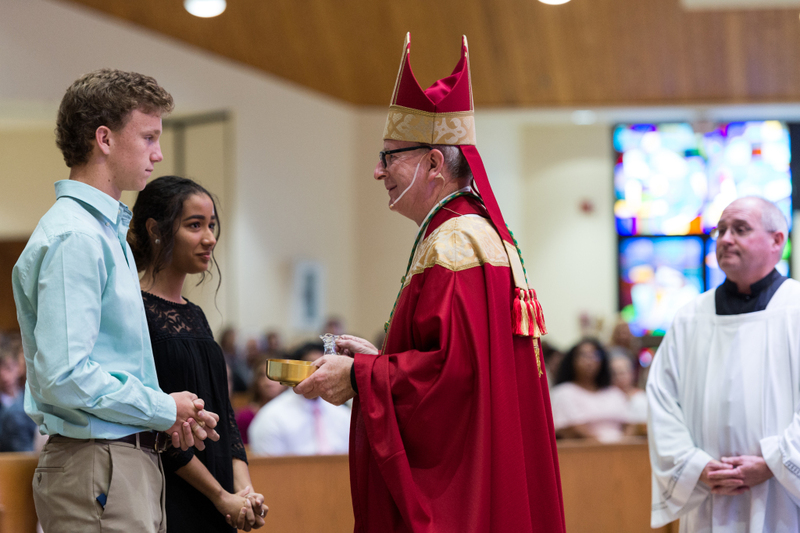 Traditionally Confirmation is celebrated in High School and above. Any Baptized Catholic who has missed Confirmation over the years is welcome to seek preparation for Confirmation! Is confirmation the end of religious education? Confirmation is not a completion or graduation from religious instruction. Confirmation does not make one more Christian or Catholic; our Baptism makes us a Catholic Christian! The age of Confirmation is set up by each Bishop at his discretion and the local Pastor. We prepare those in High School or above for Confirmation at Resurrection Catholic Church. I am a parent. What are my responsibilities? Parents are the primary educators of their child in terms of faith and morals. We at Resurrection present to the youth how to be a disciple but it must be reinforced at home to take effect. As a parent you have the responsibility to help your child pray and worship. If you as a parent cannot support your child in these activities, you should allow your child to consider Confirmation as an adult when they can support themselves in faith development. What if I am older than High School can I still seek Confirmation? What should I consider when choosing a Sponsor? 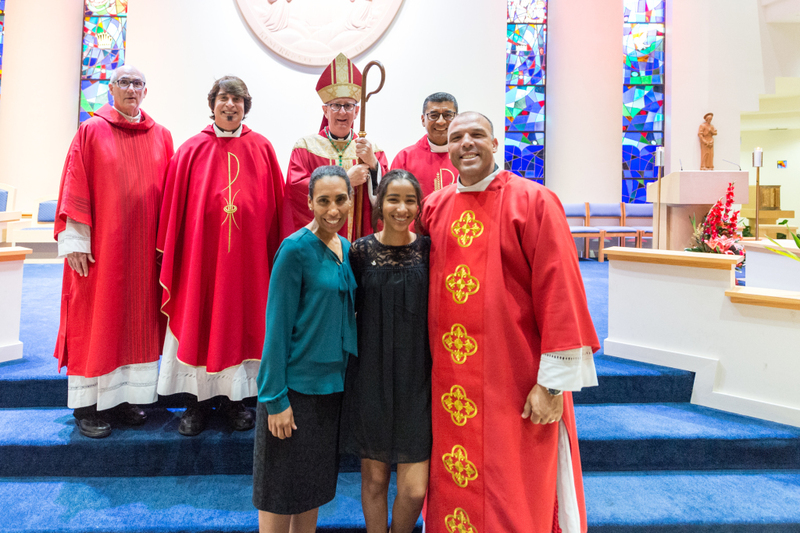 Every person being Confirmed must have a sponsor similar to one’s Godparents. As a matter of fact a Godparent makes the best sponsor. A sponsor must be chosen wisely as they too are a model of Catholic Christianity for your child. A sponsor can be either male or female but must be at least 16 years of age and a confirmed, active, practicing Catholic. You need only one sponsor for Confirmation. A parent cannot be a Confirmation sponsor. 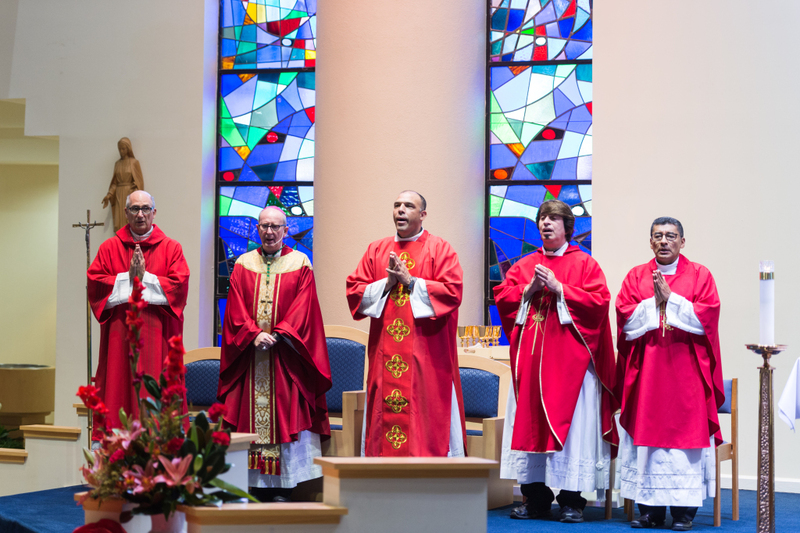 The celebration of Confirmation is held by the Office of the Bishop, unless the Bishop gives the authority to the local Pastor. Regularly the Bishop is present for Confirmation in the late summer or early Fall of each year.